Nene Leakes of The Real Housewives of Atlanta knows how to throw a theme party and she also knows how to cause drama and chaos! 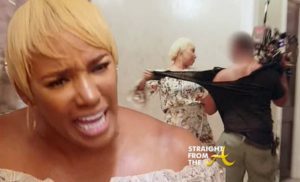 The ‘OG’ housewife sparked a heated debate over ‘closetgate’ whe she nearly ripped a camera man to shreads while trying to get her cast mates out of her closet. Nene shares exactly why she reacted which such vigor and says it all boils down to “privacy” and “respect”. I have no problem with people visiting but if I ask you to stay in a certain area RESPECT me as well as my PRIVACY and in this episode of The Real Housewives of Atlanta that didn’t happen. 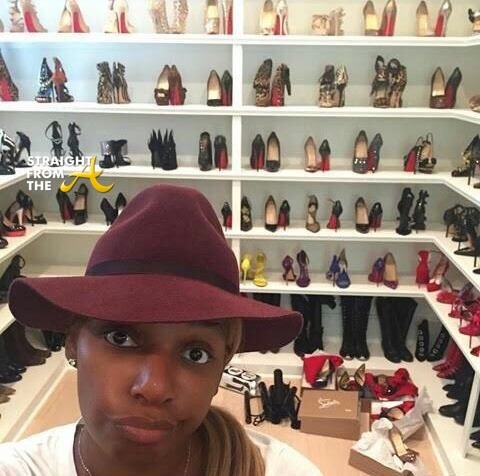 In a video posted to Nene’s new YouTube channel, she states that she DID NOT overreact about the closet. 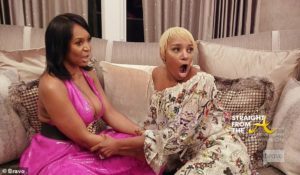 These girls have a habit of disrespect each other’s homes… Kenya went down into Sheree’s unfinished basement, Sheree and some other people were talking about Kenya’s baseboards, Kim and her daughter came over planting bugs…. so this year, when they came to my house I was like, you gon’ learn. Nene goes on to explain that the production team already had instructions on where they could (and could NOT) film and while the master bedroom was on the list, the closet was one place that was off limits. “Once they [the production team] learned that Greg had been re-admitted to the hospital, they said, ‘We know you don’t like to stay at home by yourself, so we would love for Marlo and Cynthia to spend the night with you. They talked to Marlo and Cynthia; they were okay with it. As you see, they’re walking through the door with bags in their hands. Marlo has, like, a big straw bag. Cynthia comes through the door, and she has a bag. That’s ’cause they’re coming to stay overnight. So they ask me if me, Marlo, and Cynthia- could they capture us getting ready for bed. And I said, ‘Yes.’ So the only people that are supposed to be in my master bedroom is me, Marlo, and Cynthia. We were the only ones approved to go in my master bedroom. They asked me originally could I show my closet, and I said to them, ‘I cannot show my closet because my closet is not organized. I’ve been traveling for weeks. What are your thoughts about ‘closet gate’? Did Nene overreact or do you agree with her stance on privacy?